NBA adapted the plan first designed by General James Oglethorpe in 1733, to the site for the proposed 54-acre Savannah River Landing, a mixed-use project that will mark the first major expansion of downtown Savannah, Ga. in 150 years. 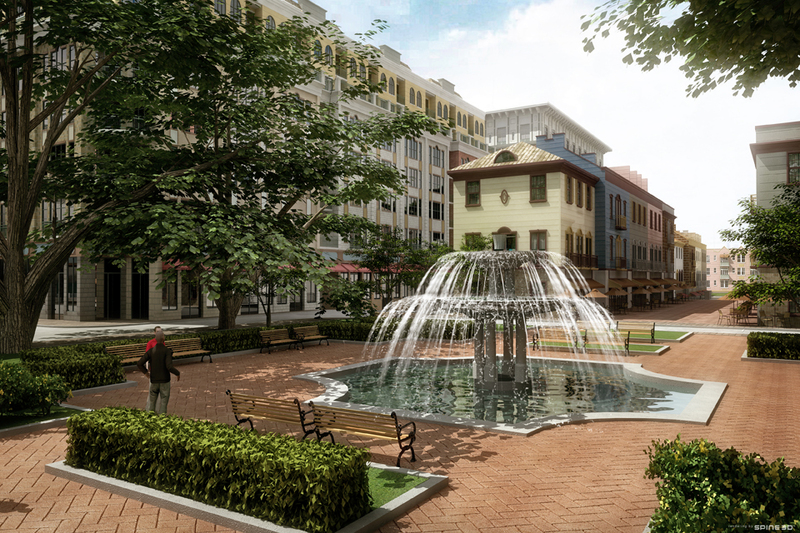 This new district respects General Oglethorpe’s 1733 plan for the city, maintaining the historic street and block pattern that has made Savannah widely considered one of the finest examples of urban design in the country. Savannah River Landing is planned for 150,000 square feet of new office space, 200,000 square feet of new, ground-level retail space, a 200-room luxury hotel, four condominium buildings with 550 new units, 1,275 structured parking spaces, and 100 street-level parking spaces.